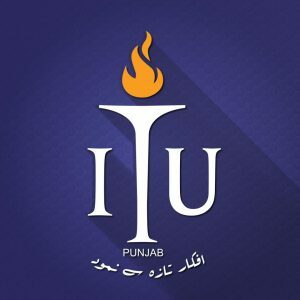 The Information Technology University (ITU) Punjab students have developed 100 Robots so far through innovation to handle the daily life problems by providing ICT solutions while soon ITU will send team for international Robotic competition. Such activities are bridging the gap between academia and the industry. Dr. Umar Saif founding Vice Chancellor ITU said while talking to media in the 6th Robotics Expo, Machines of The future: Robots, here today. Yuriy Fedkiw, Consular General, US Consulate Lahore speaking as Chief Guest said that young talent coming up with solutions to the human problems have significant economic growth potential through innovation as science and technology was playing major role in Pakistan economy. USA was cooperating with Pakistan in science, technology and knowledge economy through scholarships in American institutions and advanced training in various technological disciplines, he said. The 6th Robotics Expo displayed 15 new Robots prototypes developed by the students of ITU under the guidance of the faculty to address locally relevant problems of Pakistan. Inzamam ul Haq, Chief Selector Pakistan National Team and Mushtaq Ahmed, head coach of NCA was also present to encourage the work of ITU students. They expressed that Pakistani youth has potential to compete in the World. Talha Rehmani, lead of robotics program ITU said that the energy and passion among these students to work for their society and to serve the humanity confirmed that Pakistan has potential for a brighter future of the country. The projects showcased included Rekhta, this brings Urdu word prediction and transliteration to finger-tips of people. Rekhta was built by a 12-year-old tech prodigy, Muhammad Raza, who was declared as Rock Star of the event while other projects included Ross – The Roboceptionist, is a robot working as a receptionist at Arfa Software Technology Park. He loves interacting with the people; mimic facial expressions in real time and provide directions to people visiting ARfa Tower. Payam, can notify efficiently the rescues services and relatives about the car location in case of an accident. This is a valuable tool in saving precious human lives. Saliré, is a robot assistant that can take stairs and move small items from one place to another. Illumaphone, helps the people, especially kids, with congenital amusia – tone deafness. Vizo, can be attached to any eye glasses and improve interaction by displaying valuable information right in front of your eye. Rahbar, provides real time info regarding the location and arrival times of public transport, especially shuttles of metro buses. The CEOs and representatives from various companies, leading journalist, the faculty and rectors of many prestigious universities including NUST, LUMS and FAST attended the event. 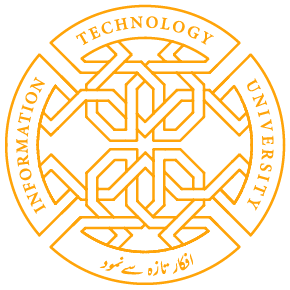 Share the post "ITU Students develop 100 Robots-Team soon to participate in International Robot Competition Dr. Umar Saif Pakistan possesses significant economic growth potential through science and technology-US Consular General"